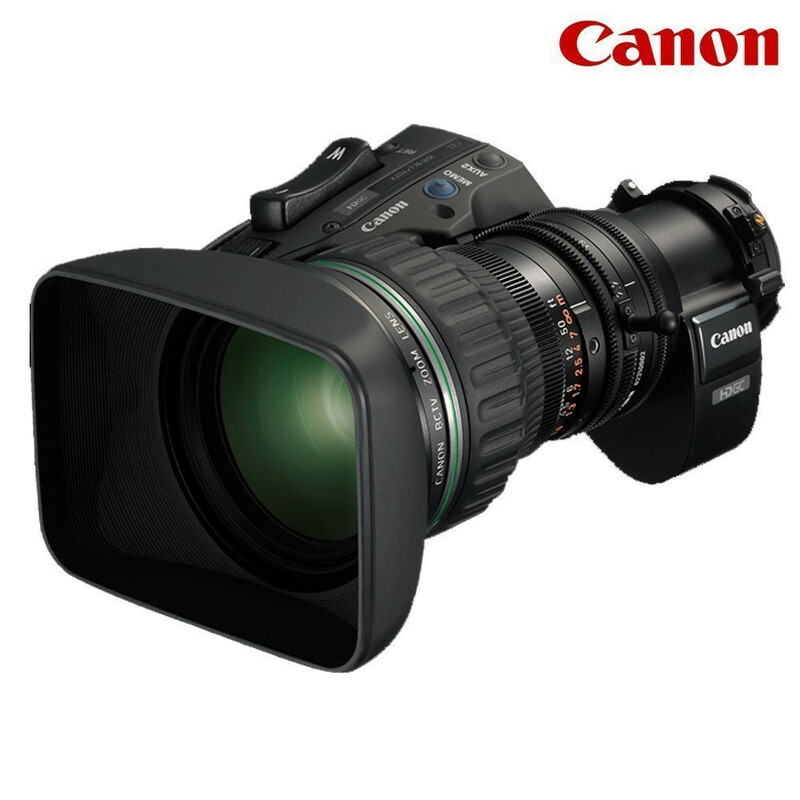 Canon HJ17ex7.6B IRSE A/IASE A - Offers superb optical performance with very wide focal range and is one of the most popular broadcast zoom lenses available today. 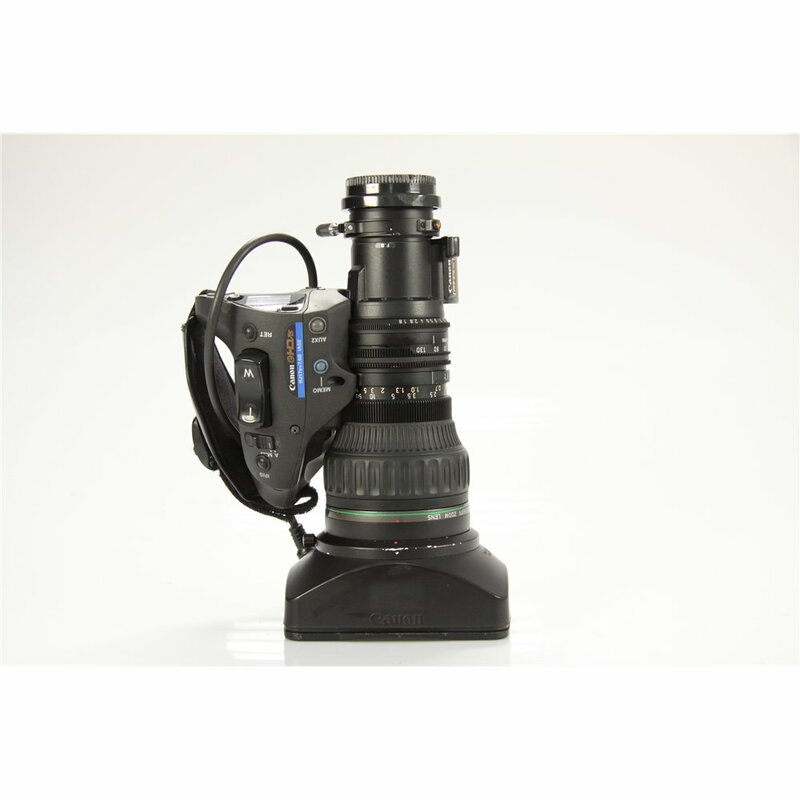 Can be easily adapted to work with modern Super 35 camcorders (in HD) via appropraite adapters. 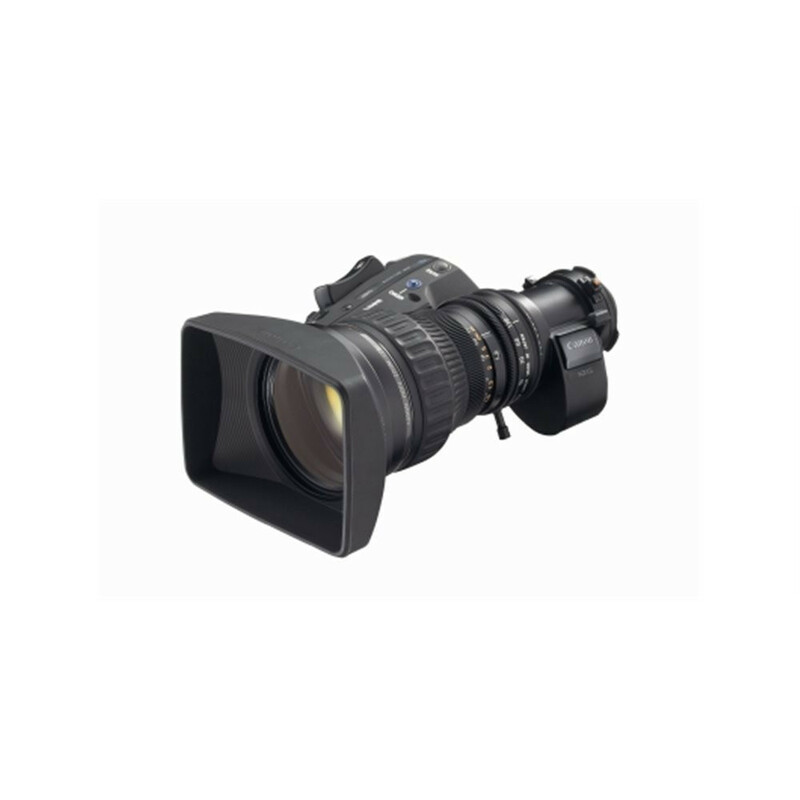 The HJ17 has been the de-facto Standard HDTV lens for the broadcast industry due to its affordable price and the very wide focal range that is particularly well suited for the ENG industry. The HJ17ex7.6B IRSE A/IASE A anwers the pressing demands of broadcast newsgathering and for low-weight and high-mobility and the exacting performance requirements for HDTV acquisition. Superb optimization strategies helped achieve the sought-for performance – having a high sensitivity, an excellent MTF profile over the entire image plane, minimization of chromatic aberrations, and maximization of image contrast. The maximum aperture of f 1.8 makes this lens eminently suited to low-light newsgathering acquisition. Uniformity of brightness across the image plane combines with the high contrast and excellent picture sharpness to produce vividly clear HD pictures. Contrast was extended by superb control of black reproduction – with optical and mechanical design innovations that substantially reduced flare, veiling glare, and any internal reflections. Similar attention to minimization of ghost images and other highlight-related chromatic distortions caused by strong light sources on-axis and off-axis further extend the operational contrast range of the lens.